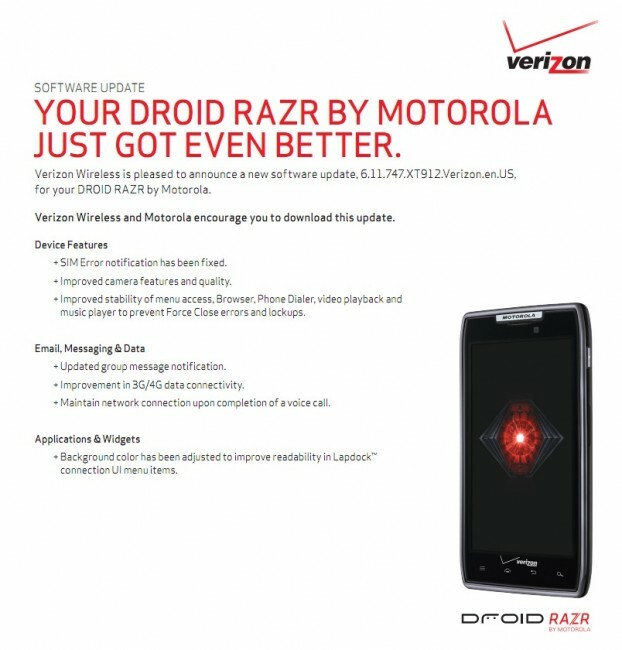 A soak test for a new DROID RAZR update was prepped last week – that update is starting to roll out to members of the group now. In the support documents that list out the changes for this new software, we can see that some of this stuff is pretty significant. After updating, users will see a stronger data connection on both 4G and 3G and the camera will improve in features and quality. Talk about a fast turn around on bug fixes for a phone that has only been out for a couple of months. Seeing the update? Head into Settings>About phone>System updates to check. Eric Schmidt: "In the Next Six Months We Plan to Market a Tablet of the Highest Quality"